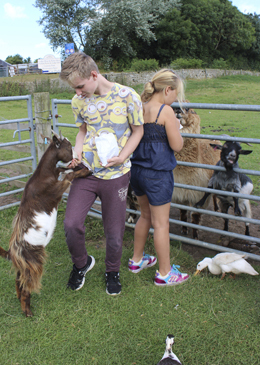 Come and visit Wetheriggs Animal Rescue North Yorkshire - Wetheriggs is a small family run animal rescue centre at Thorpe Farm Caravan Site located on the border of County Durham and North Yorkshire. We take in injured and unwanted animals including domestic pets (excluding dogs and cats), farm animals and native wildlife. If we have the facilities suitable, we will take in any animal and give them a new home and a new chance at life. We are open every day from 10am to the public, and the entrance fee helps to run the rescue centre. 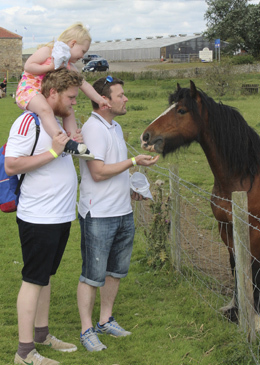 Visitors have the chance to get close and interact with our animals including feeding some of them! We also regularly hold animal handling sessions with rabbits, guinea pigs, chicks, rodents, snakes, lizards and much more. A large proportion of our animals are housed outside in the paddocks. This area is separate to the main entrance and requires visitors to walk across the car park and a small road to visit. Visitors are required to purchase wristbands from the main entrance before visiting the paddocks. The paddock walkways are all grass, and as such can be quite wet in poor weather conditions. We recommend wearing suitable outdoor footwear during your visit. Access to Wetheriggs Rescue Centre is free of charge to our seasonal caravan pitch holders and holiday home residents.